Agents and Clients from MAPFRE Insular branches sent their entries for the MAPFRE Insular Photo Contest last September. From the many entries, only 5 photos stood out. 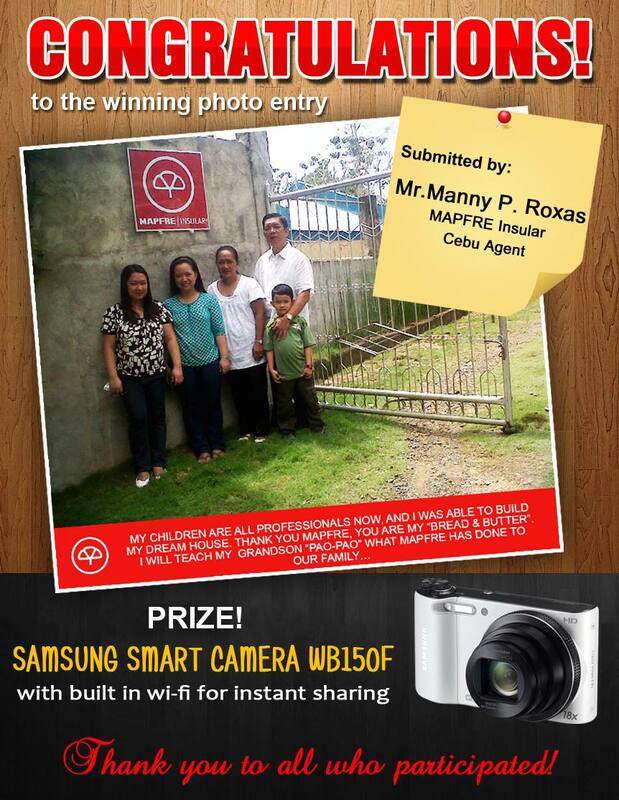 Mr. Manny P. Roxas, agent from MAPFRE Insular Cebu won a SAMSUNG SMART CAMERA WB150F with his photo entry. His photo reached almost 500 likes in our facebook page. Congratulations Mr.Manny and thank you to all who participated! This entry was posted in Uncategorized and tagged Agent, insurance, MAPFRE, MAPFRE Insular, photo contest. Bookmark the permalink.